Michael Edelson’s areas of practice include commercial real estate, municipal land use law, corporate and employment law, and chancery, appellate and commercial litigation. He was elected to Phi Beta Kappa and Phi Kappa Phi, and served as law clerk to Judge Morris Pashman in Superior Court of New Jersey in 1968-69. 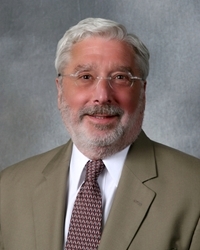 Mr. Edelson has served as a consultant on six-member juries for the New Jersey Criminal Law Revision Commission, as Assistant Municipal Attorney and Municipal Attorney of the Township of Maplewood, New Jersey, and currently serves as Planning Board and Zoning Board of Adjustment Attorney for the Township of Maplewood. He has been a member of the Supreme Court of New Jersey District Fee Arbitration Committee for Essex County, and served as Vice-Chair, District V and Chair, District V.
Mr. Edelson is a member of the Bars of New Jersey and the federal trial and appellate courts in New Jersey and is admitted to the bar of, and has argued before, the United States Supreme Court. Mr. Edelson has been selected for inclusion in New Jersey Super Lawyers for 2005-2007 and 2010-2019.